Basically I have files all over the place! about 3D shapes a few months ago. or here at my new Teacher's Notebook store. taking forever to actually load my products and use it. are available there now as well. 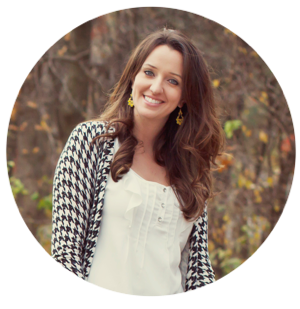 blog or stores...what do you like about having one? to try and keep up with. that I haven't thought of so I'm just curious. I added your TN store to my favorites. 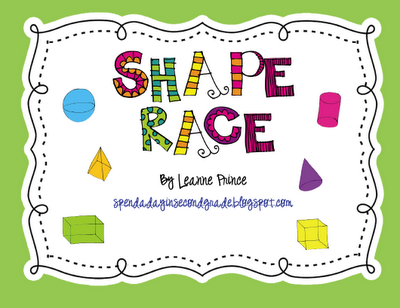 I'd love to have a copy of your shape race! This looks great!! I hope you are having a great summer!! 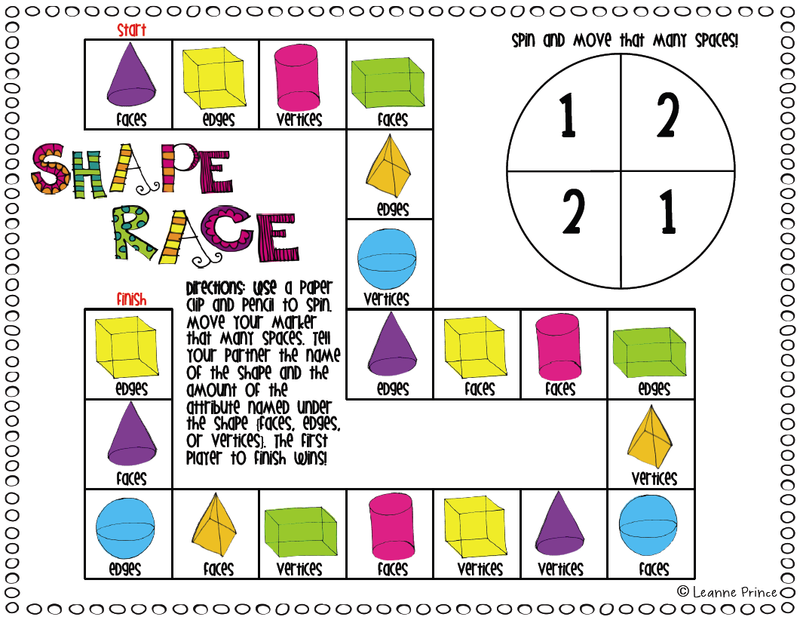 I always try to include games when teaching math to my special ed. students. It truly helps them out! 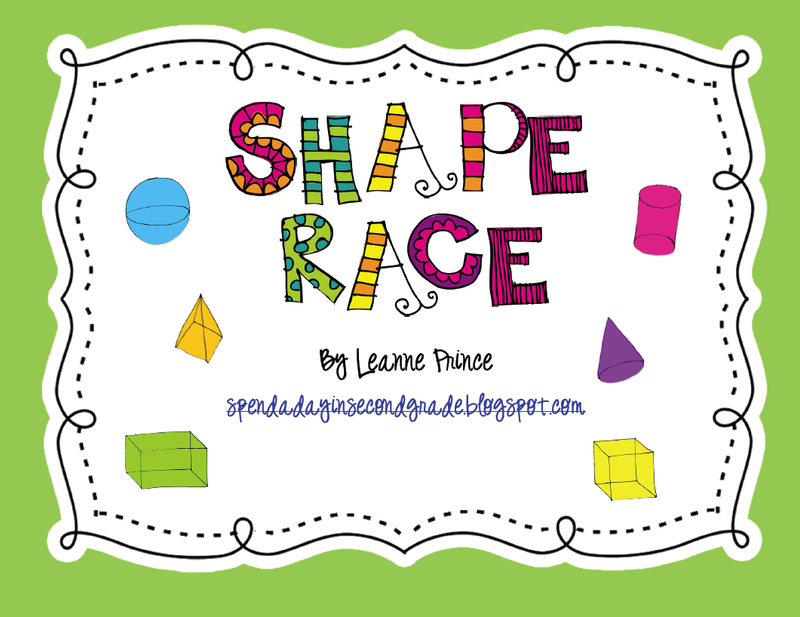 This looks great for our unit on shapes! The game looks great! 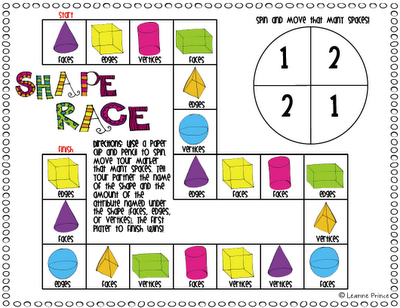 My second graders will love to play it during guided math! I'm moving to 2nd grade next year, so this will be great to use for my class!